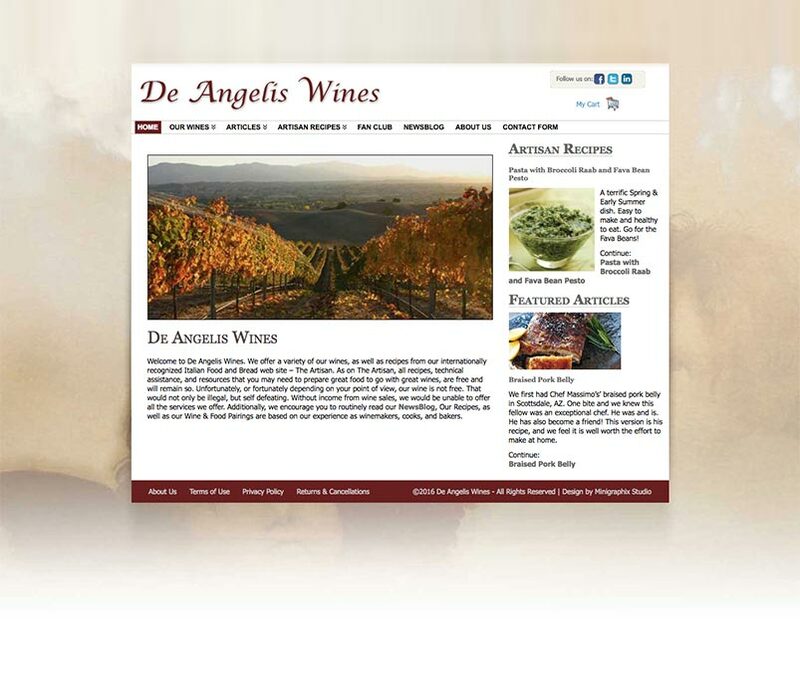 De Angelis Wines is a self start up winery and recipe shop. 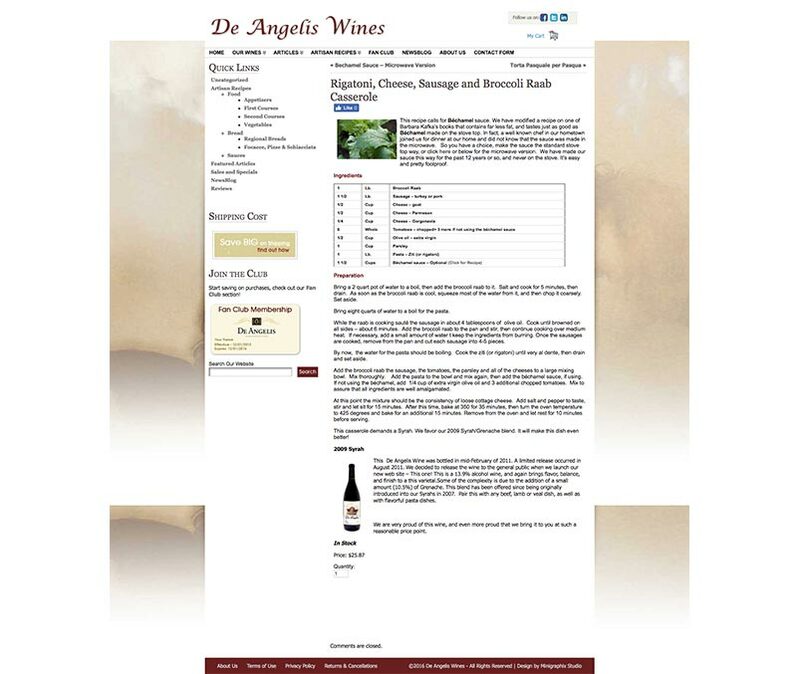 They often pair recipes with homemade luxury wine of their creation. 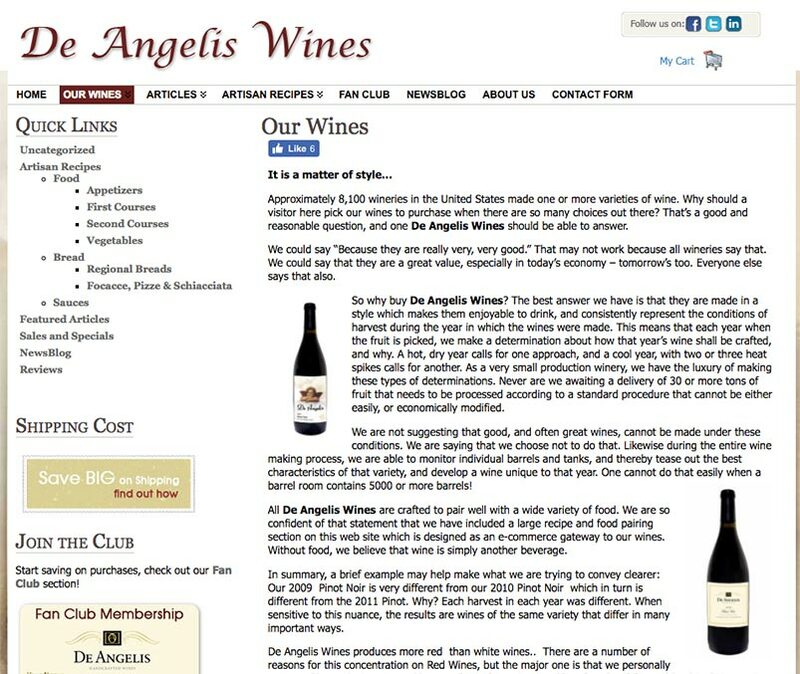 Since the growth of their business they hired a designer to build a site for them, however it was a static site and needed to be something they could easily update. 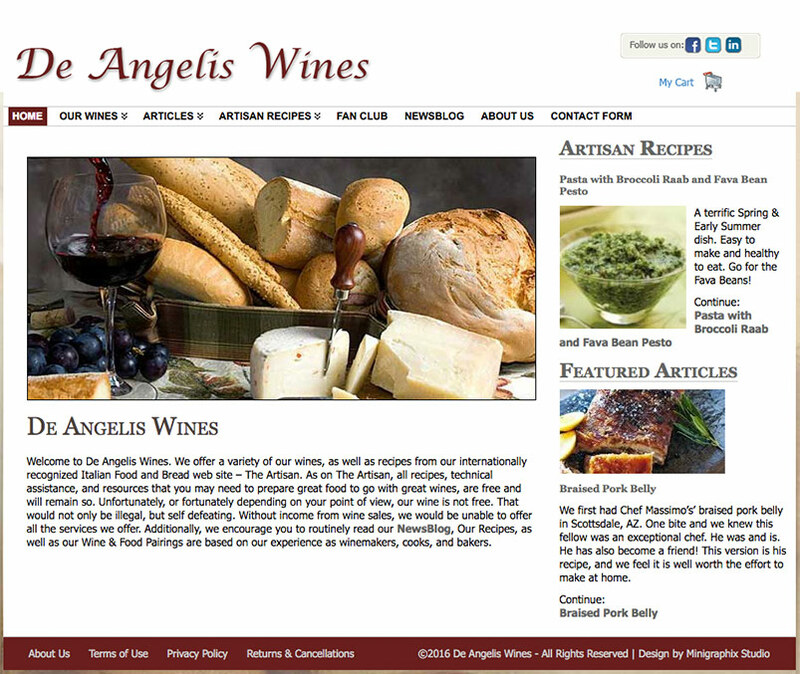 Hence, I’ve been consulted to recreate the entire static site and bring it over to a WordPress platform. 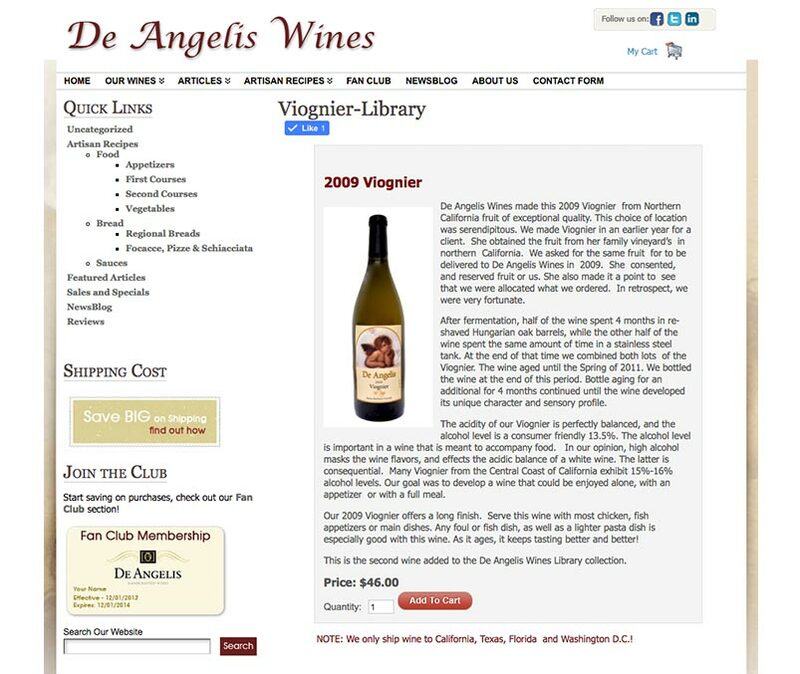 I’ve also been asked to add eCommerce elements since they like to pair their wine and there was no api at that time to buy from a static site. 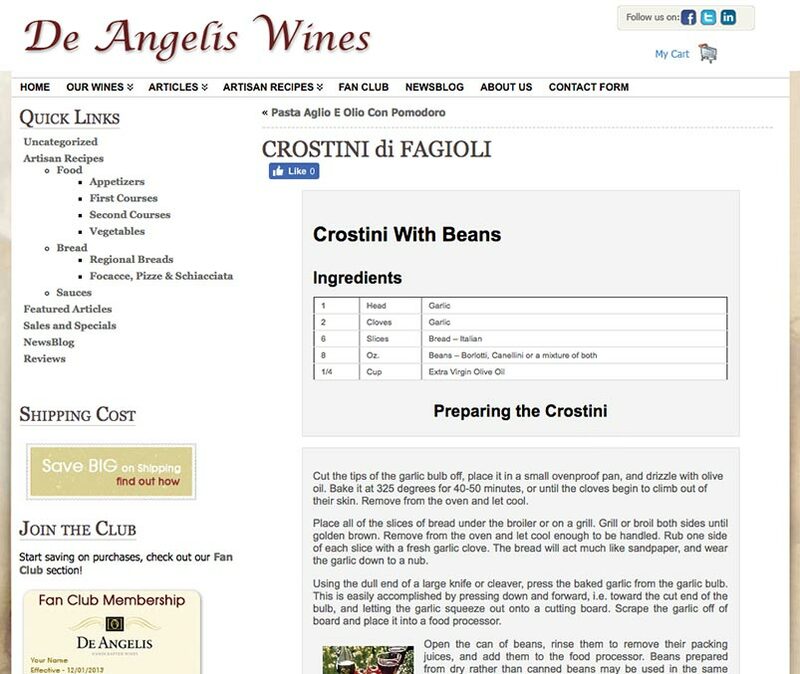 This project involved heavy CSS and knowledge of how the WordPress loop function works in order to achieve the desired affect.